Located very near the Palisado Cemetery, which has a bit more history and panache than this one (see below), my visit to Riverside Cemetery was quick and efficient. It’s very small; just one skinny loop road with a couple hundred graves and that’s it. I drove in, around, and out – never stepping out of my car into the driving rain. So sue me. Why is this place on the Freedom Trail? 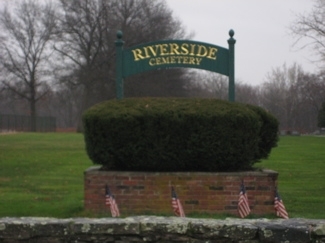 Because the graves of African American soldiers who served in the Connecticut Twenty-Ninth and Thirty-First Colored Regiment C.V. Infantries during the Civil War are located in the cemetery. 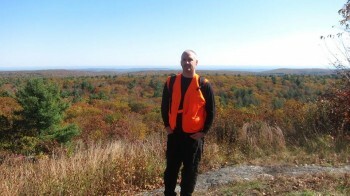 This rather small church is located right near I-91 and I have nothing further to say about it than the Freedom Trailsters themselves say, below my awe-inspiring picture. A community of African Americans developed in the Hayden Station area during the nineteenth century. One of the religious and social centers for this community was the Archer Memorial African Methodist Episcopal (A.M.E.) Zion Church. Its first building was constructed under the guidance of the Reverend Dennis Scott White, who received financial assistance from a local philanthropist, Frederick Thrall. The church was located next to a pine grove north of Hayden Station Road and Pond Road; the Reverend White conducted popular camp meetings in the grove during the 1880s and 1890s. The pond nearby was used by the town for swimming and ice-skating, and by the congregation for baptismal services. 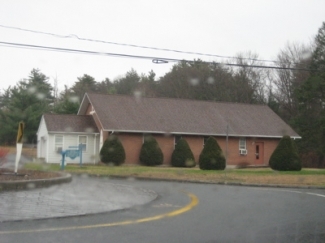 The present church building was erected in 1982. This is a rather cool cemetery. It is located behind the First Congregational Church of Windsor, which happens to be the “oldest parish in the new world.” Here, I even wrote separately about that. 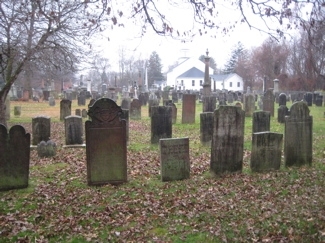 But also in this very cemetery, not 50 feet away from the graves mentioned below, is the – get this – oldest legible grave in Connecticut and perhaps the oldest monument in the county. Or something. I try to sort it out here. Only a few slaves remained in Connecticut by the time the state passed its full emancipation law in 1848. Apparently, several of these individuals were determined too old to care for themselves and therefore continued with their former owners. 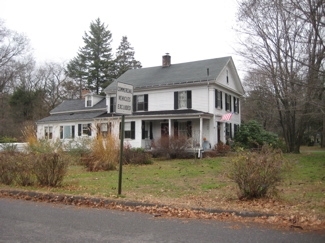 It is believed that Nancy Toney, a former slave of the Chaffee/Loomis family of Windsor, was the last survivor of this group in Connecticut. When she died in 1857, she was buried in Palisado Cemetery. The grave is at the rear of the cemetery, located on the left side of the road in an area with few markers. 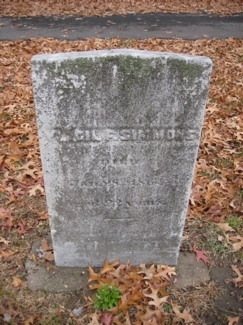 Also buried in the cemetery is Civil War veteran Virgil Simmons, who was enlisted in the Connecticut Twenty-ninth Colored Regiment C.V. Infantry. 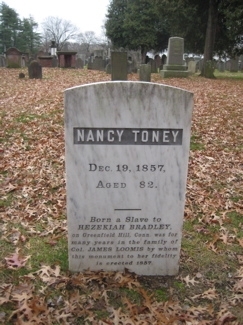 His gravesite is located next to that of Nancy Toney. This handsome house is located on historic Palisado Avenue, home to several historic house museums… But this is not one of them. This property was purchased by Joseph Rainey on May 20, 1874, and it was owned by him for the remainder of his life. It was used by his family as a summer residence. Rainey is best known for being the first African American elected to the U. S. House of Representatives, serving for the State of South Carolina. He was elected to five terms, holding office from 1870 to 1879, and during this period introduced petitions for the passage of civil rights legislation that would guarantee African Americans their full constitutional rights. He dramatized his stand on the issue of access to public accommodations by his refusal to leave the dining room of a hotel in Suffolk, Virginia, forcing the owners to remove him from the premises. The Rainey family was active in the First Church of Windsor, and in 1876 Rainey spoke at the town’s observance of the American Centennial celebration. The house is privately owned and not open to the public. William Howard Best (1924-2006) was Windsor’s first African American police officer and a community activist. He began his job as Windsor’s first black police officer in 1951. He served the Windsor Police Department for 18 years until a job injury forced him to retire. Prior to his employment at the police department, Best worked for Colt Industries and was one of the first African Americans to work as a commercial bus driver in Connecticut. Following his retirement from the Windsor Police Department, he opened Wil-Bes Printing on Pierson Road in Windsor. In an effort to ensure that the experiences of African Americans were included in the telling of Windsor’s history, Best generously shared his extensive and invaluable knowledge with all who inquired. Additionally, he and his wife, Jean, were active members of the Windsor Historical Society. 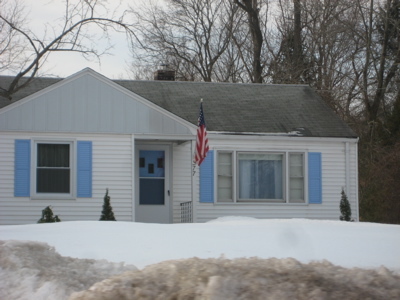 A lifelong Windsor resident, William Best had the house at 377 Hayden Station Road constructed in 1953. 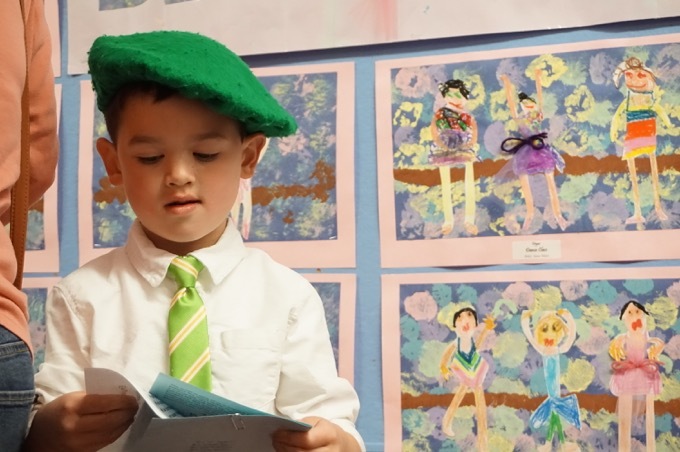 The land, however, had been in the family since 1873 when his great-grandparents purchased the property. What’s funny about this house is that on the original old Freedom Trail, they had some incorrect nonexistent address near here. I searched and searched in vain one day (this house is right across the street from the A.M.E. Church above). But this has been corrected as of the February 2011 website relaunch and I’m happy to have snapped a picture of it one day after I learned about it.